debuted on January 22, 2018. – He now lives in Seoul, South Korea. – He has to do not only music, but also clerical work. – He makes an effort to communicate to his international fans in multiple languages. – His parents support him. – His favorite season is Winter. 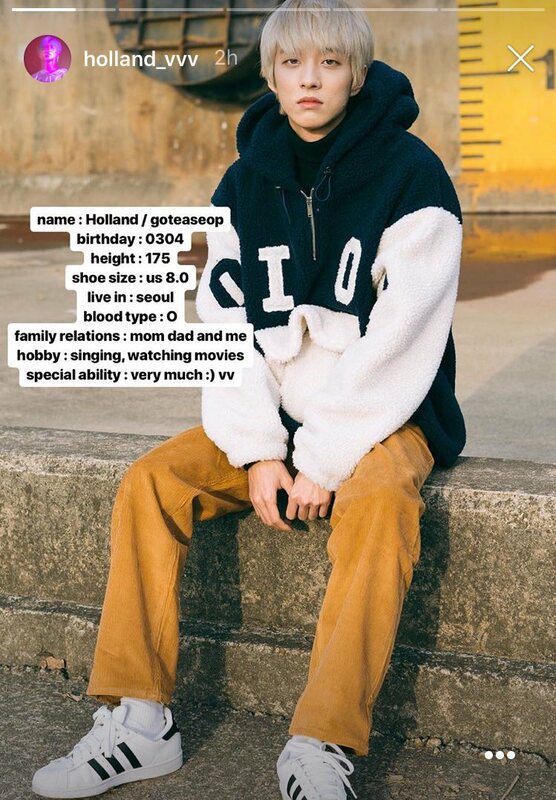 – Holland is a fan of BTS, especially of V and Jimin. – He is also a fan of Chanyeol (EXO). – He said he likes NCT and his bias is Taeyong. – Holland said that he wants to travel the world. – He’s not good at drinking, but he thinks it is up to his body condition. Sometimes he gets drunk on just a bottle of bear and sometimes he is okay to drink nearly two bottles of Soju. – He doesn’t show emotions or act cute when he’s dating, but he’s a very nice person even if he doesn’t express much. – He is a fan of KARD – his Instagram Story on 19/08/2018 showed him in the crowd of a KARD Concert. – He debuted on the Billboard chart and the iTunes chart. However, compared to the foreign countries he thinks the people in Korea aren’t paying attention to him. – He attended his first pride parade this year in Korea. Next year he hopes to be on a stage. – He wants to dance and create choreographies, however it is too expensive for him at the moment, since he is not with an agency. – He loves skinship and affection with any gender, and would love to hug all of his fans. – He played soccer in high school, but can’t find time to play now. He hates exercise but wants to gain weight. – He is very careful when choosing underwear and wears different colours according to his mood. – Holland won 2018’s Dazed100. Holland is such an inspiration for people across the globe. We shouldn’t have to hide who we really are. Holland is going to do well. Thank you so much for the profile, hopefully we get to know more about him as he grows as an artist and as a person. Also I hope he doesn’t receive too much hate and backlash due to his sexuality AND that the fans he has are genuine and not there due to him being gay or something. I know some people have odd fetishes and will use him for it. but anyways, Holland fighting~!! don’t let haters bring you down just bcs you’re a wonderful person. be strong~! His favourite animals are Cats and Dogs, but he has a fur allergy. His favourite colours are Black, Red, White, Gold and he doesn’t like Blue. On his Instagram live, he said his favorite foods are Indian food, Chinese food, Japanese food, Mexican food. That all I got because it was a bit hard to understand. 🙂 and I’m pretty sure he said his hobby is watching movies. Actually the last notice about his debut was in Spanish. He wanted to talk with his brazilian fans but didn’t knew enough Portuguese, so he made it in spanish. He came out in middle school to his close friends and got bullied afterword. He had nobody to help him with that, not even his parents, and no public character to talk about it. This and his love for singing inspired him to become an idol. He also said that being independent is really hard for him and he’s currently looking for agency. Holland is gay. He said it in a interview. Holland said that he wants to travel the world. 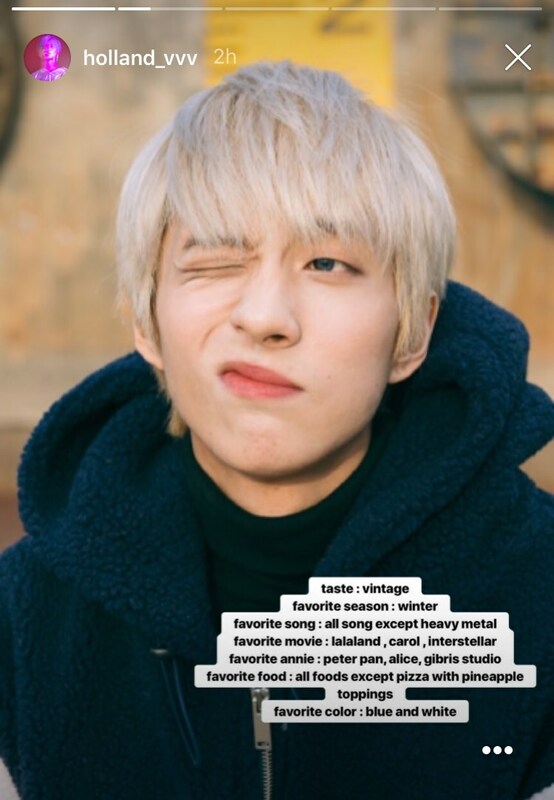 he used the hastag ‘harlingselcaday’ on his twitter, so i think harling would be the official fan name! The creators of this profile are correct. 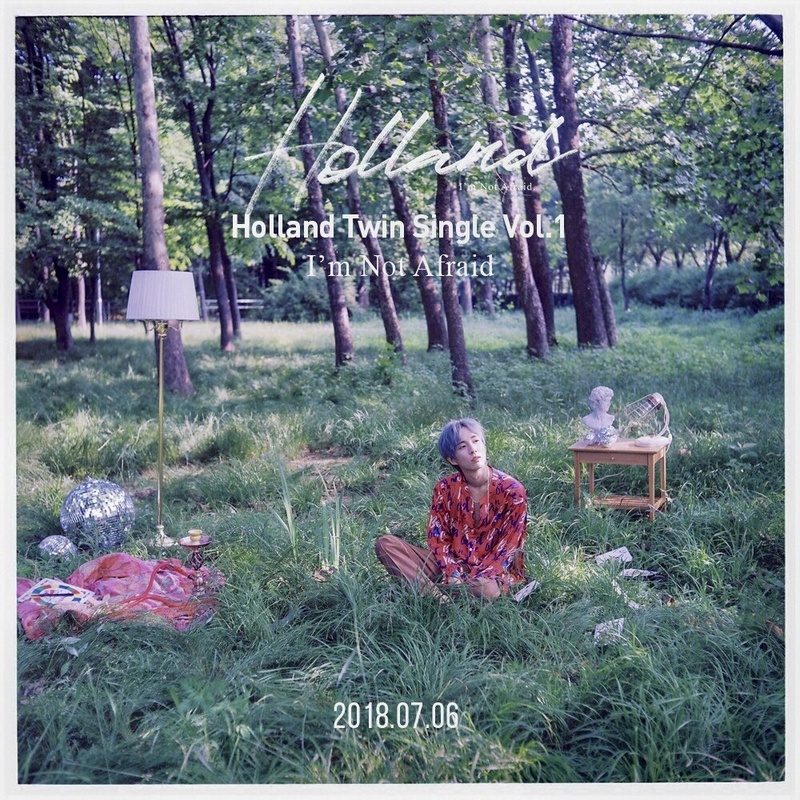 Holland himself stated that the UNOFFICIAL Fandom Name is Harlings. He said that he wished to get under a label before he officially chose a Fandom Name and Color. All of this was in one of his Instagram lives. Look it up on youtube, he’s wearing a purple striped top and iTS English subbed. He said he is going to “proceed as a one person system without agency” and that there are many people who want to sponsor him for his performances. He doesn’t have a specific schedule but the plan of tours is definitly scheduled. He wants to tour in “Brazil, Canada, China, South America, Europe, Americe, and so on..”. He said he is supposed to vist most of the countries. His drinking capacity: He said he is not good at drinking, but he thinks it is up to his body condition. Sometimes he gets drunk on just a bottle of bear and sometimes he is okay to drink nearly two bottles of Soju. He debuted on the Billboard chart and the iTunes chart. However, compared to the foreign countries he thinks the people in Korea aren’t paying attention to him. His favourite female singer is CL and favourtie solo male singer is G-Dragon. He likes foods with spice and added Thai food to the list of favorite foods. He actually isn’t picky about food except he can’t eat raw carrot. His favorite singer used to be IU and said his current favorite solo female artist is CL and his favorite solo male artist is G-Dragon. He can’t drink alcohol well. He likes movie “The Danish Girl”. He is more popular abroad than in Korea. Hey can the 200+ people who said he was overrated turn on their location I just wanna talk? But seriously I love this boy so much, he’s doing so much for LGBT people in S Korea and I really hope he succeeds!! We’re cheering for you Holland!! but on a serious note, I really hate how some people are hating on him because of his sexual orientation. I mean, his debut song was amazing and instead of noticing that people are putting limelight on the video being inappropriate (which is absurd). they are not hating bc of his sexual orientation, but simply bc his vocals arent that good… people are just fascinated with the fact the he is gay. Also he just debuted and considering that, he is getting much notice. I agree, i don’t think its fair to say anyone who doesnt like him is anti-LGBT (although there are). I personally loved the song though, and I think with some work he definitely can improve his vocals! I’m really in love with Holland even thou he’s a gay. He’s so cute, his voice is kinda addicting as well as his song. TBH his song is what I’m listening since this morning until now. Even when I am surfing, I still keep on listening to his song. And oh before I go to sleep yesterday, I am still listening to it, since his voice serves as a lullaby for me, I didn’t notice that I already fall asleep. No. They are not dating. no, they are not dating. and i don’t really want to be rude, but please do not ask questions like this or assume holland is dating someone when they play his love interest in a video. chances are if you saw a woman acting as a man’s love interest in a video, or a woman playing a man’s, you would not ask this question. the reason i must stress this is because holland has SPECIFICALLY asked people not to be weird about his interactions with other male idols, because if people get weird and assume they’re dating, we could ruin his potential friendships and even his career could take a dive. 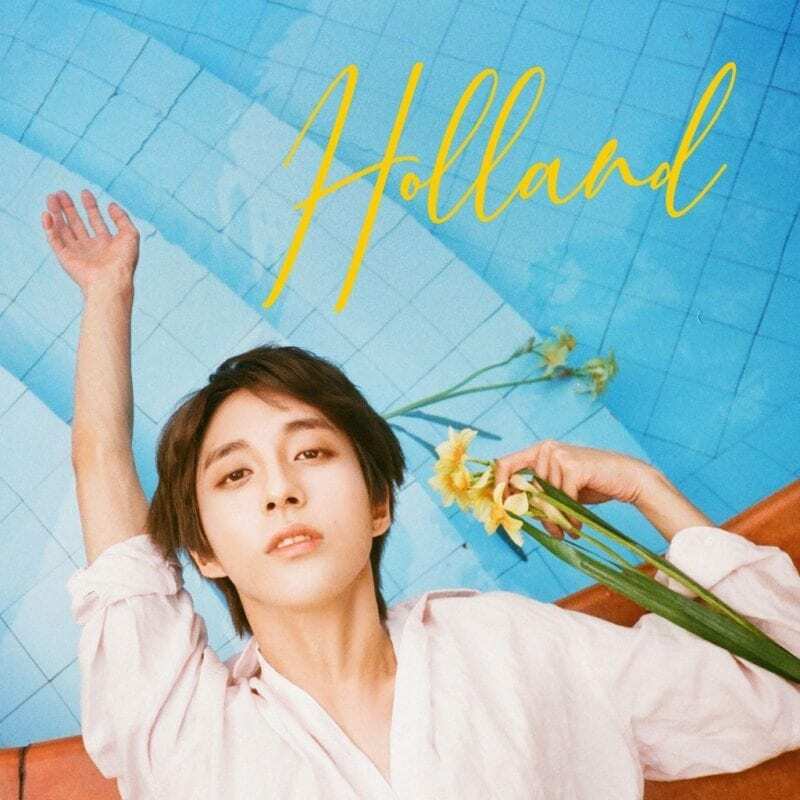 holland has concerns about the way people might misunderstand his behavior and conduct with other male idols because he is gay. people already freak out and scream gay when male idols do bare minimum fanservice when chances are, most of them are straight (or for the ones that are gay, since lgbt idols exist, of course, they are not out). please respect holland, and do not assume he is dating every man he comes in contact with. he has been so genuine with us with things that are extremely hard to talk about that i think if he WAS dating someone, he would tell us. he might even give us a name so long as the other man was okay with it. it’s hard enough being an openly gay celebrity, especially in a place like south korea. please don’t make it any harder by asking these types of questions. i need to stress this especially because holland has already had to clarify he was not dating the actor in his mv. please. respect holland. he deserves it. They are dating. Me and my bestie searched it up to see if it were true. Although I do agree with you on some level, some people do hate on him purely because of his sexual orientation. I personally really like his music and I know other people who love him a lot and I do agree that he could improve his vocals but I think people aren’t just fascinated by his sexual orientation, it’s his music, but that’s just my opinion, don’t roast me! No he’s just a model-Cho Youngshin I think was his name. Search it up and stop spreading rumors. “Me and my bestie searched it up” “TRUST ME” Oh my gosh, that’s a gossip right there. is cho youngshin go taeseob’s boy friend??? Even though he’s not great at drinking, Holland’s favorite drink is soju. 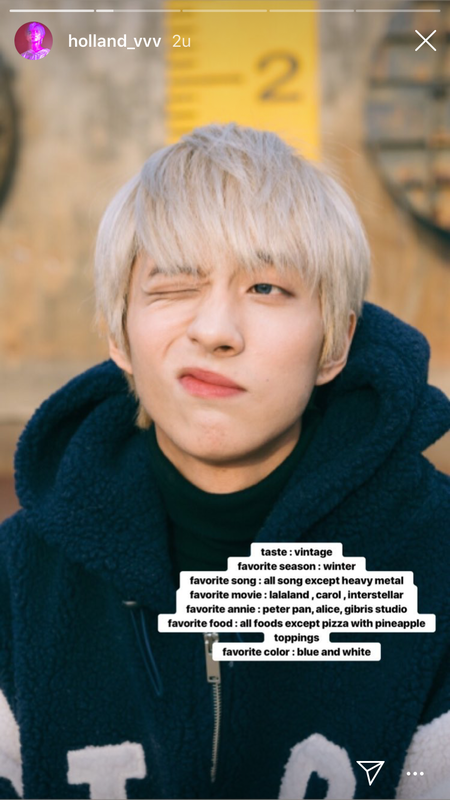 In addition to the artists already listed, Holland also admires Ariana Grande, Big Bang, Exo, and Shinee. One of his favorite movies (at least right now) is The Shape Of Water. So do urself a favor and leave me alone. 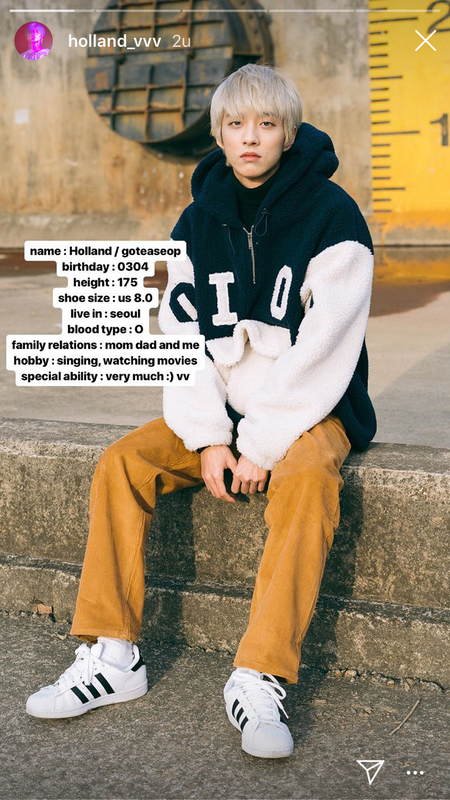 Holland won 2018’s Dazed100. This was announced today on Dazed’s official instagram @dazed. His new music video for “I’m Not Afraid” is out now! i love how he is not afraid to tell others about how he is gay i really like that and how he expresses in his m/v he is very brave to do it and i am very happy that ik him and i really want to meet him someday and say ” you are so amazing and cool”!!!!!!!!! Fantastic! He is truly brave considering his country’s attitude towards the subjects represented in this video. I hope he keeps kicking down barriers in South Korea and keeps bringing out great music! He also released his new music video today called I’m So Afraid!! Let’s get it to 1 million!! He is a fan of BTS and he especially likes V and Jimin. This is what it says in this article. He said that he wants to learn more about other sexualities, in order to relate and sympathise with his fans. He is a fan of KARD – his Instagram Story on 19/08/2018 showed him in the crowd of a KARD Concert. He also followed the story up with a post at the Seoul concert, singing along to “Oh NaNa”. Just wanted to let you know that in the last comment, underneath Holland’s latest comeback, his name was spelt with two ‘d’s. In a recent Q&A in partnership with Rolling Stone India, HOLLAND answered some fan questions. * He has to do not only music, but also clerical work. * He is an only child. * He attended his first pride parade this year in Korea. Next year he hopes to be on a stage. * He might have a collaboration with MRSHLL. * He wants to dance and create choreographies, however it is too expensive for him at the moment, since he is not with an agency. * He loves skinship and affection with any gender, and would love to hug all of his fans. * He plays “Overwatch” and “Battleground” with his friends. * He played soccer in high school, but can’t find time to play now. He hates exercise but wants to gain weight. * He is very careful when choosing underwear and wears different colours according to his mood. * HOLLAND has been following BTS since “I Need You”. * Next month, using crowdfunding, he will make his next mini album. His bias in nct is taeyong. i think it’s from an insta live. here’s…a vine that has it….uhm yea. – his favorite colors are blue and white! im sure if you most of this, but i just wanna let you know! holland is an amazing person! His ideal type is a guy that is handsome, smart, someone that is an artist (singer, actor, model, etc.). He said this in a live on Instagram. What is meaning of Harling? Do you know if he likes Stray Kids and who his bias is?? He’s also Chanyeol (EXO) fanboy. why did he choose the name holland? He said that he chose that name because of the Netherlands: where gay marriage is accepted first throughout the whole world. People have been hating on him just because he’s gay, yet they still ship male idols with other male idols in other groups.